You are here: Home / Become a Blood Donor – It’s in YOU to Give! As the holiday season shifts into full swing, Canadian Blood Services is reminding donors and potential donors across the country of the importance of booking an appointment to give blood right away. The winter months come with the added challenges inclement weather creates. As donors in many areas contend with poor weather, it’s even more important for other current and new donors to make and keep their appointments. As a result of poor weather across the country, Canadian Blood Services has had to cancel a number of clinics and has also seen a decline in the number of donors able to attend clinics. Attendance has been down in British Columbia all the way across the country to Newfoundland. The impact so far has been a drop of over 1,100 donations in the last few days alone, with more bad weather to come. Added to this, there are 26,000 appointments still available to fill in December across Canada. “We encourage donors to book and keep their appointments if they can safely get to a clinic. Patients are depending on donors to fill open appointments now and throughout the rest of December,” says Mark Donnison, vice president of donor relations. 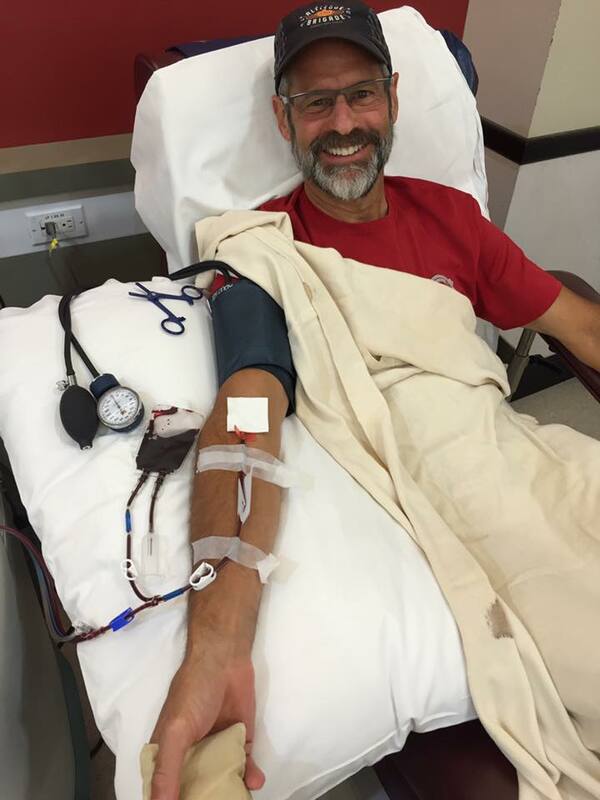 Bruce adds that throughout the years and the various programs, the need for blood products has never changed. Canadian Blood Services says that there is an even greater need for new donors this season because of new iron eligibility guidelines introduced recently to promote the health and wellness of blood donors. As a result of the changes, some donors won’t be able to donate as frequently and more donors are needed to fill the gap.